After rolling through Spain and Portugal for more than 1,000 kilometers, the mighty Tagus river pours into the Atlantic. There, at the estuary, lies Lisbon – one of Europe’s oldest cities. Resting on seven hills, the beautiful city is, as the official website readily admits, a “nightmare” for bicyclists. It is also home to a dynamic tech and startup community, which I visited with great interest on the occasion of the Lisbon Investment Summit, part startup conference and part grand finale of the Lisbon Challenge accelerator program run by my kind hosts of the Beta-i startup program. Startups were not the only order of the day, however. 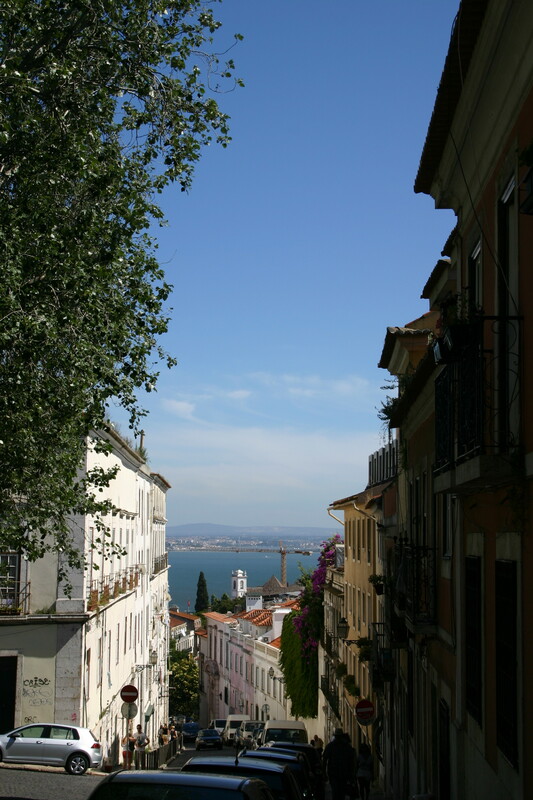 Lisbon is home to the Portuguese branch of one of the most massive companies you have never heard of – Teleperformance. The company is a global leader in “outstanding customer experience” (Twitter bio) or, to put it more simply, outsourced call centers handling sales, support and all other functions of customer interaction. In this case, “global leader” translates to some 150,000 employees (give or take a few thousand!) and €2.4 billion in revenues. Just on the day I arrived in Lisbon, Teleperformance announced a $600 million acquisition of competitor Aegis’ US, Philipine and Costa Rica operations, adding 19,000 people to the payroll. The company was founded in 1995 in Paris with “only 10 phone lines”. 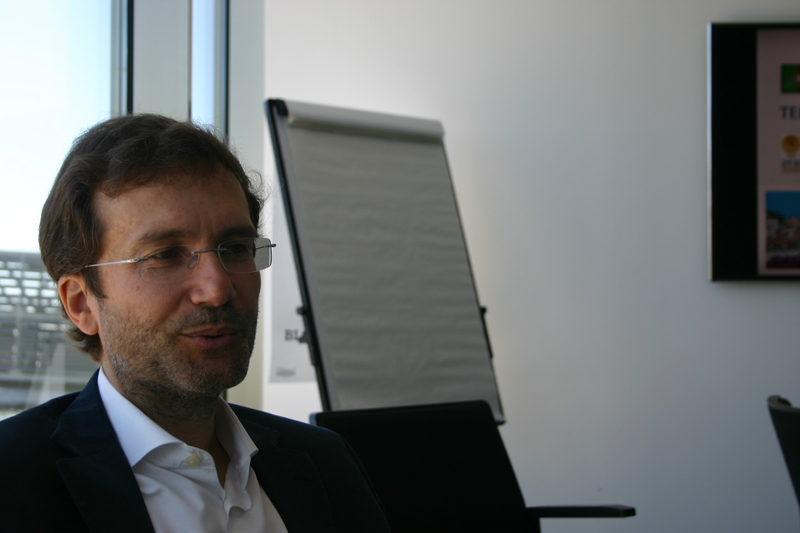 The Portuguese operation alone today employs more than 4,500 people, as Joao Antonio Cardoso, CEO of Teleperformance Portugal, explained. Taking a quick tour of the building, we popped into a large room adorned with gaming paraphernalia. This particular team provides vital support to the players of The Elder Scrolls. Going way beyond phone support, the team are active on various channels and forums and, if needed, step into the game itself to provide careful assistance – avoiding spoilers! – to stranded players. Each “TP” team member in this unit is required to spend at least one hour of work time actually playing the game – not exactly the worst job in the world. Moving from massive companies to startups, I met with Vasco Pedro, co-founder and CEO of Unbabel. Here’s a startup you might want to work for if you’re a surfer – not a “web surfer” but a real surfer, as in “Big Wednesday“. The Unbabel team goes surfing every Wednesday (I wonder why they picked that particular day?) as part of their quest to keep their minds fresh and the team spirit alive. What does Unbabel do, you might ask? They cook up a heady brew of machine-plus-human translation for 11 languages, disrupting the translation industry with 80% lower costs at – they claim – the same or higher translation quality. By the way, it’s not just your Mom’s 2, 5 or 10 page documents. The team is developing integrations for tools such as ZenDesk, GitHub and Mailchimp. In the ZenDesk scenario, for instance, an Arabic-speaking customer writes a support request (“ticket”) to the company using ZenDesk for customer care. An English-speaking support engineer – who doesn’t know Arabic – receives an Unbabel-translated request in English, replies in English and the customer receives the reply in Arabic. And so it goes until the ticket is resolved – Unbabel inserts itself into the conversation. With a natural language processing PhD from Carnegie-Mellon, Vasco is pushing the team to a seed investment round very soon. The human tranlation part, by the way, is crowdsourced to a growing “crowd” of translators, earning upwards of $8 per hour, sometimes translating only small chunks of text which can be done from a phone while riding the bus. There are more than 7,500 of these now, translating a volume which is growing – Vasco claims – by 15% weekly. Besides Y Combinator, an early backer of Unbabel has been one of the few Portuguese “independent” VCs – in other words, one which is not part of a larger organization (typically a bank) or the Portuguese government. 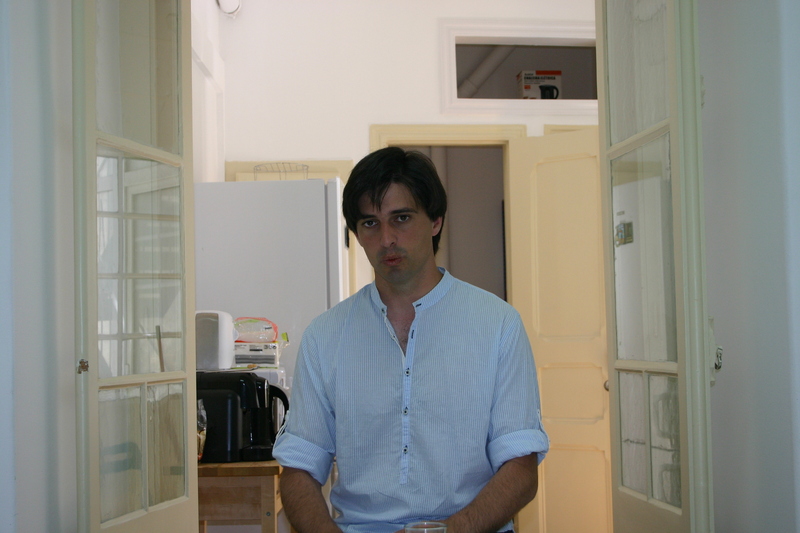 Faber Ventures was founded by Alexandre Barbosa two years ago. “We are part studio, part investment platform – kind of a hybrid between investing in projects people bring to us and building on our own ideas which we feel are original and can add value.” Barbosa says. Starting with €500K of the partners’ own money, Faber today has a capacity of €8 million, typically investing €200 – 300,000 in a deal, and – so far, at least – always co-investing with others. Aside from Unbabel, there are 11 more companies in the Faber portfolio. By “studio”, Barbosa means that, like an increasing number of early stage investors in Europe, Faber hosts many of its portfolio companies in a common co-working space, providing the kind of mentorship usually associated with accelerators. Faber backed another, quite well known startup which many Tech.eu readers will not readily connect with Portugal – Seedrs, the equity crowdfunding platform making big steps in Europe. Seedrs’ President, COO and co-founder is in fact the Portuguese entrepreneur Carlos Silva, and the platform has a 15-person team in Lisbon handling all of the technical and development work. To make things more interesting, Faber sourced an investment on Seedrs far removed from Portugal – Maily, the Belgian email app for children (disclosure: in which our editor Robin Wauters is a shareholder and advisor). Faber contributed £180,000 out of the £250,000 seed round, with the rest coming from individual Seedrs investors. This transaction was all the more notable because it was the first time a venture firm invested alongside “the crowd”. In the Faber co-working space a.k.a. “studio”, I had the pleasure of meeting several other promising founders. GetSocial, backed by Faber and Portugal Ventures to the tune of more than $800,000, is supporting online stores by turning them into social networks, thus pushing the concept of what the company calls “social shopping”. Gleam is an iOS / Android app for fashion-conscious ladies (mostly) who want to discover the latest and greatest trends in what to wear and what not to wear. Apparently they were not offended (at least they didn’t show it) when I explained that I was quite probably the least likely person on Earth to benefit from this service! Another Faber fashion investment, Chic by Choice, made it into Tech.eu’s recent overview of European fashion e-commerce startups. You’d like to wear a high-end designer dress but you know you might wear it next Saturday and then who knows when again? No problem – Chic by Choice will let you rent it for a mere 15% of the retail price. I had the pleasure of meeting CEO Filipa Neto, who is based in London but was back in Lisbon to work out some key issues with her team. That Tech.eu fashion list included a startup I didn’t meet personally, since their Portuguese base is not in Lisbon but in Guimaraes near Porto. Farfetch is arguably Portugal’s biggest startup success. It is an ecommerce platform connecting fashion-conscious clients with a global network of high-end boutiques. Founded by Jose Neves in 2007, they have raised more than $100M from Advent, e.ventures, Index and, most recently, Conde Nast and Vitruvian Partners. Out of the more than 400 people on the Farfetch team, some 80 or so are busy developing the platform in Guimaraes. Seedcamp and Portugal seem to be fond of each other. Seven Seedcamp companies come from Portugal: Simpletax, Codacy, Hole19, Crowdprocess, Cashtag, Zercatto and Popcorn Metrics. Mini Seedcamp is coming back to Lisbon on October 1, so new ambitious founders can apply for the high-level accelerator / investment fund. Seedcamp’s recent $30 million funding round should make it all the more interesting. I sat down with the founders of two of the Portuguese Seedcamp bunch – Jaime Jorge of Codacy and Anthony Douglas of Hole19 – to talk about the Lisbon ecosystem. “We are all like a family!” Jaime and Anthony enthused over a round of cold beers in Praca do Comercio, Lisbon’s main square on the Tagus waterfront. Startup founders meet, mingle and work together in the Startup Lisbon incubator which housed both of their companies before they outgrew it. Anthony actually managed to rent an office just across the street from Startup Lisbon so he could stay close and connected to the companies still working there. Codacy, also backed by Faber as well as Espirito Santo Ventures, is an automated code review tool. Seems to me it would make sense for them to find a way to partner up with Codeship, previously profiled on Tech.eu. Hole19 is a golfing app, helping golfers develop their games and charting golf courses all around the world. Since I’m not a golfer, Anthony had to explain that “Hole 19” refers to golfers gathering at the bar after having played a round. Startup Lisbon is an impressive incubator operation, occupying two buildings in downtown Lisbon and soon opening up a third one. The organization is an NGO with strong support from the public sector (Lisbon Municipality) and the private sector as well. There are more than 60 startups with upwards of 200 people working in the current offices, and the organization has supported more than 180 startups since its establishment in 2011. While there I met nmusic, a company fighting for a position in the hotly contested music streaming space. CEO Celestino Alves explanied that they are unique amongst music streaming startups by the fact that they are actually profitable – no mean feat. nmusic is known in the Portuguese market as “MEO music” due to a white label deal with the dominant Portugal Telecom. An interesting product of the company is a TV app, enabling customers to watch music videos and create video playlists on their TV’s. They are teaming up with Samsung to collaborate in Africa and, once the partnership goes live, every Samsung phone in Africa should have the nmusic app – again, in white label form – on the device by default. Another interesting project was Prodsmart, which goes straight to the factory floor of (currently) rubber and metals SME factories to help them keep track of production data – the stuff that workers in the manufacturing process usually record on paper forms – to optimize the production pipeline and manage the overall manufacturing process. Crowdprocess, funded not only by Seedcamp but by Kima Ventures and Frontline Ventures as well, takes the SETI approach a bit further by connecting the web browsers of a large number of participating users and turning them into virtual supercomputers. Coolfarm wants to help farmers grow hydroponic plants in a smarter way, using a combination of hardware appliance, cloud-based data and AI. Sitecake – coming to Lisbon from Belgrade, Serbia – claims it has finally cracked a way to enable everyone, not just geeks, set up and manage their websites. Yes – yet another website builder, out to compete with WordPress, Wix, Squarespace and everyone else. Just because a space is crowded, however, doesn’t mean you can’t innovate and compete – you only have to be 10 times better than everyone else. The founders of DoDoc want to relieve authors – in particular, those writing scientific and research papers – of the pain of formatting complex documents. Focus on the content, they say, and DoDoc will automatically create beautifully formatted documents for you. 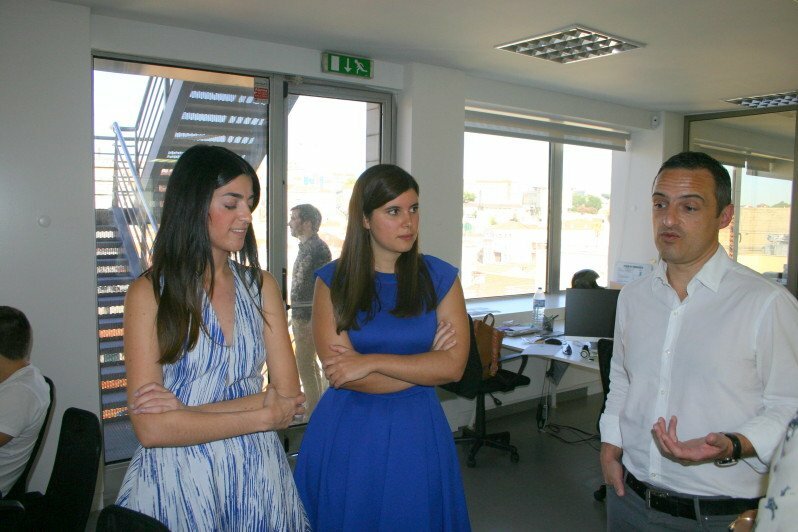 Anna Kojzar and Tania Cruz, founders of The Poshpacker, came all the way from Washington, D.C., to participate in the Lisbon Challenge acceleration program. Delivering a perfectly polished pitch, Anna explained that there is a new generation of travellers looking to combine style with affordable lodgings – “Airbnb for the creative class”, if I recall the expression correctly. The organization putting on this show was Beta-i – an energetic and enthusiastic organization supporting the Lisbon and Portuguese startup ecosystem. Beta-i is an NGO but apparently well-financed and organized, with 14 fulltime people on the team and a bunch of volunteers helping with complex projects such as the Lisbon Investment Summit. Beta-i is rapidly shifting its focus from a mostly local to a highly international program, with some 400 applications for each of two 3-month batches per year. Roughly 3/4 of the applications comes from 46 countries across the globe. If you want to join the next Lisbon Challenge batch, you better hurry – the deadline is this coming Sunday, July 20! With well-established high growth companies such as Farfetch, Timwe, Outsystems and Feedzai, lots of new ones coming out of Startup Lisbon, Faber, Portugal Ventures and other incubators and venture funds, and Beta-i doing the heavy lifting of “community building”, we’re bound to be hearing more exciting news coming from Europe’s Atlantic shores.